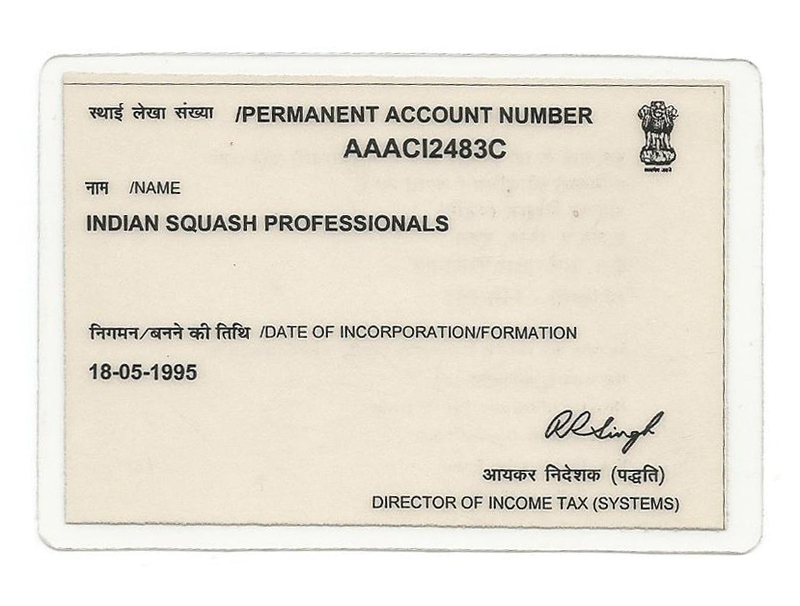 Indian Squash Professionals (ISP), a non profit making organization, was formed by Mr. Mahendra Agarwal in 1993, with the sole aim of promoting the game of squash in India . In January 1993 ISP conducted the first ever squash tournament (since 1947) only for Professionals, or Markers as they are known in India, and also the first Doubles squash tournament in Hotel Leela, Mumbai. From January 1993 till date, ISP has organized 133 tournaments, more than 50 free coaching camps all over India (Rajkot, Jodhpur, Mussorie & interiors of Maharashtra) and since then, adopted five players (Arif Paul, Deepali Anvekar, Priyanka Yadav, Abhishek Pradhan and Ankita Sharma). ISP has its own website, www.ispsquash.com, which is the only active squash website in India. This is updated daily and receives about 150,000 hits each month. ISP also publishes a news magazine, "PROSQUASH", which is read by more than 15000 squash lovers throughout the country. This magazine has completed 95 issues. ISP was instrumental in introducing several well-known squash coaches from countries like Egypt, Canada & Pakistan to India . Jahangir Khan's coach Rahmat Khan (Pakistan) was the first to conduct a coaching camp in the year 1997 followed by Abdul Shaikh (Canada), Sammy Farrag (Egypt), Hanny Ezzat (Egypt), Khalid Atlas Khan (Pakistan), Tarek Solemn (Egypt) and Ahmed Yosef (Egypt). ISP, in association with SRAM, has spread the game of squash to the interiors of Maharashtra ( 27 districts; Nanded, Beed, Satara, Pimpri, Kolhapur , Solapur, Aurangabad , Thane, Jalgaon, Nashik etc) through coaching camps, tournaments and building squash courts with the help of local Government officers. ISP has taken the initiative to import quality squash rackets from Taiwan and make them available to the players at subsidized rates to promote the game. 1. To create a Squash Culture in India. 2. To produce a world beater from India. 3. To identify talent and foster competitive spirit amongst the youngster by supporting them to prepare them for participation in International events. 4. To enhance better working environment for our Professionals, who are the backbone of Squash In India. 5. To promote Indian Squash through our mouthpiece “PROSQUASH”, India’s only Squash Magazine. 6. To upgrade our already popular website www.ispsquash.com having news of Squash in India / World. 7. To adopt talented youngsters through sponsorship. 8. To be helpful as mediators for any problems that may arise and threaten the interests of the sport in India. 9. To create a world class infrastructure – viz. Squash Academy in Mumbai. 10. To provide exposure to international coaching by inviting coaches/physical trainers to India and sending players abroad for coaching. "PROSQUASH" the only squash e-magazine in India having readership of 15000 squash players throughout India. Its being published monthly now. And was launched in December 1996 and it contains news regarding squash in India & World. The only active Website of Squash in India, which is being updated daily and it contains all news regarding squash in India and World. It has 1,50,000 hits every month. As we require a constant flow of funds to attain our objectives, the ISP appeals to Corporates all over the world to donate whatever amount they can. We believe in the saying that drop by drop can fill an ocean. The donation by Indians and NRI's are exempted under 80-G of income tax. The donation is to be made by cheque / draft in the name of Indian Squash Professionals and posted to our Office In India.